Eating healthy can be a challenge for all of us, but for college students, it can be especially hard. Crowded dorms, part-time jobs, reduced sleep and added stress weaken immune systems. Due to these factors, vitamins for college students help supplement a strained diet from constant change in eating habits. 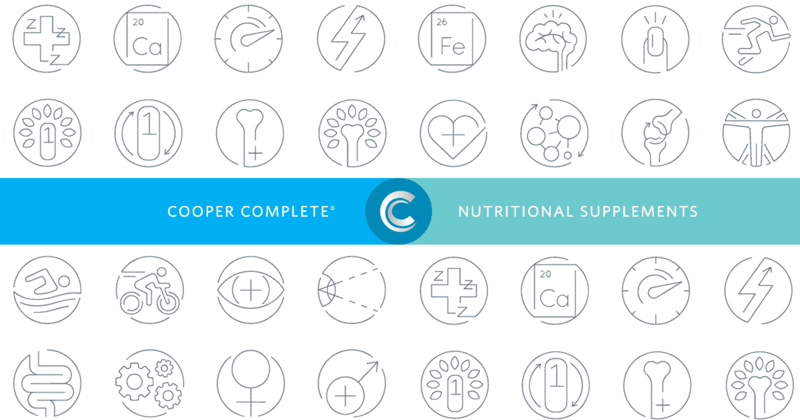 A Cooper Complete Healthy Body Pack supplies a daily multivitamin and mineral supplement along with two omega-3 soft gels in a handy tearable packet. Single serving packets make them perfect for the on-the-go lifestyle of your student. It’s easy to grab a packet and put it in a backpack, purse, or pocket to take with a meal. Plus the packets remove the guesswork and thinking—simply take one packet-full per day with any meal. 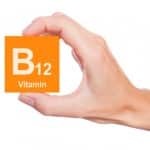 B vitamins (B6, B12, riboflavin, thiamin, niacin, folic acid) are a part of a group of vitamins that create energy, in the form of glucose, from carbohydrates. Unfortunately, the body cannot produce these vitamins on its own. Therefore, the body obtains these vitamins through diet and supplementation. Here’s list of benefits provided by B vitamins. Niacin (B3) boosts good cholesterol and lowers triglycerides. Children with rickets, associated with low vitamin d levels, are more likely to get respiratory infections. Children exposed to sunlight seem to have fewer respiratory infections. Adults with low vitamin D levels are more likely to report a recent cough, cold, or upper respiratory tract infection. This falls in line with the common guidance of taking vitamin D supplements in winter months as winter sunlight is often not intense enough to produce adequate levels of vitamin D.
Omega-3’s ability to reduce inflammation and improve heart health makes it one of the best supplements for college students in managing stress. The American Heart Association urges eating fatty fish such as salmon at least two times per week. Salmon on average has 1.3 to 1.9 g of total omega-3 in a three and a half ounce cooked portion. In comparison, two Advanced Omega-3 soft gels in the Healthy Body Pack contain 1200mg of omega-3 as DHA and EPA. Inflammation is another side effect of stress that hampers the hormone cortisol from properly regulating inflammation. As a result of this process, inflammation has been linked to heart disease and type II diabetes. Vitamins for College Students: What are they not eating? Researchers at Oregon State University surveyed 582 college students in 2011, with a large number freshmen in the group. Ultimately, the study found these college students ate less than five servings of fruit and vegetables in a week! Compare this to the U.S. Dietary Guidelines that suggest men and women age 19 to 30 years old, eat 3-4 servings of fruit and 4-5 servings of vegetables each day. Above all, supplements are not intended to replace a healthy diet and lifestyle. Rather, a daily multivitamin for college students helps address nutritional inadequacies that may occur when college students are suddenly away from home. While we believe getting nutrients from a healthy, balanced diet is ideal; this is not the case for many college students. Cooper Complete Healthy Body Pack can help support diets of college students the right amount of vitamins and minerals for optimum health. Article provided by Cathy Sides, Director of Customer Relations, Cooper Concepts Inc.